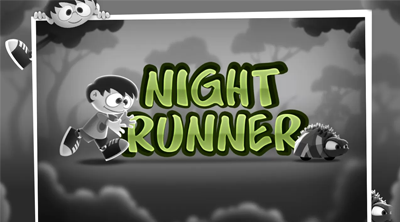 Night Runner is a fast paced Action and Arcade running dash game presented by Creatiosoft. Alex, a cute & innocent school boy encounters a spooky character(luka) while returning home from school and got stucked in a weird jungle, which is full of dangerous obstacles. Here's a list of Night Runner Tips, Tricks and Strategy Guides, that will help you control Alex to run while escaping dangerous hurdles and grabbing powerups and treasures in this amazing high-quality 3D game. game. Upgrade your Boosts, refer below for recommended upgrades. - Skills that you can pick up while running to get a limited time power-up. - Can be upgraded with Coins to increase their duration. active skill must be removed first by consuming it's current duration. Take note of this tip because this will greatly affect your performance end game. duration below your game screen, if it's about to end, start dodging obstacles to avoid getting accidental penalties. - To get high scores, run as long as possible and smash all Lukas that you can. - Max Double Multiplier boost to further increase your high scores! when the pace is getting faster. - Master these 2 commands to fully control your character! examples where you can apply it. 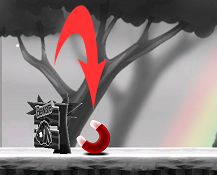 - To get Boosts right next to an obstacle, you might miss it with normal jump. - To do a quick smash and dodge, can also be used on the first Luka. 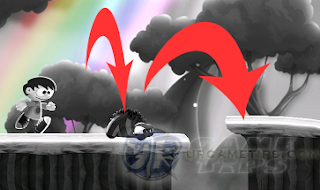 - Normal Jump: You'll bump into that spiked obstacle! 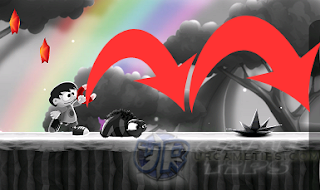 - To avoid the Luka and the spiked obstacle! - Normal Jump: You will fall into the pit! the pit fall). You will be encountering this situation a lot, so take note of this. - Normal Jump: You will lose a life bumping into that Luka! Luka. You will be encountering this situation a lot too, so take note of this. - There are so many ways to use this trick, explore and use it well! - Double Jump (1~3) = It's common anyway. problem is that, you are only allowed to use 2 Boosts while running and you have to wait for the duration to expire before you can get another boost! This is actually bad end game. - On the other hand, Jumbo Coin is ok because it doesn't have a duration. Magnet and Coin Doubler might hinder you from getting the more important boosts like Tornado Power or Power Booster! get a high score. He picked up Magnet and Coin Doubler (both are quite common too!) then starts to gather Coins, but he realized that he doesn't need Coins anymore because he's awesome. 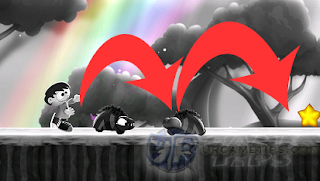 Now, because of Magnet and Coin Doubler's very long duration, he missed 3 Tornado Power and 1 Power Booster!. After the duration of both boosts, he lost the game with low high score. you more easier time getting high scores!. Yes, you will still get Magnets and Coin Doublers while playing but their duration are short giving you more chance to get and enjoy both Tornado Power and Power Booster's long duration and invincibility.